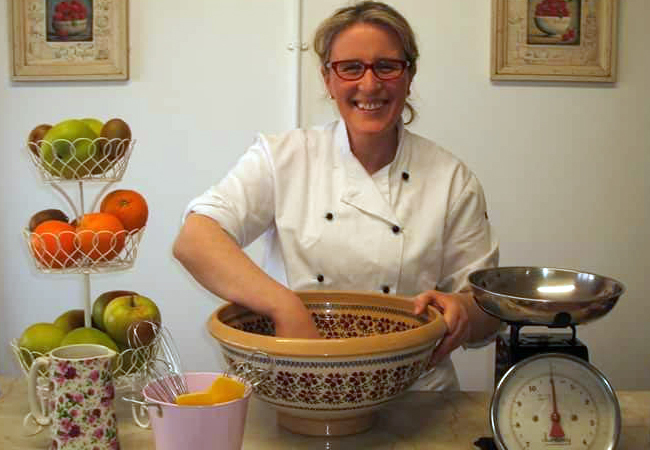 My name is Fiona Egan and together with my husband Michael Farrell we run Cloughan Farm & Cookery School. At Cloughan Farm we want to give you the opportunity to reconnect with food and the land. 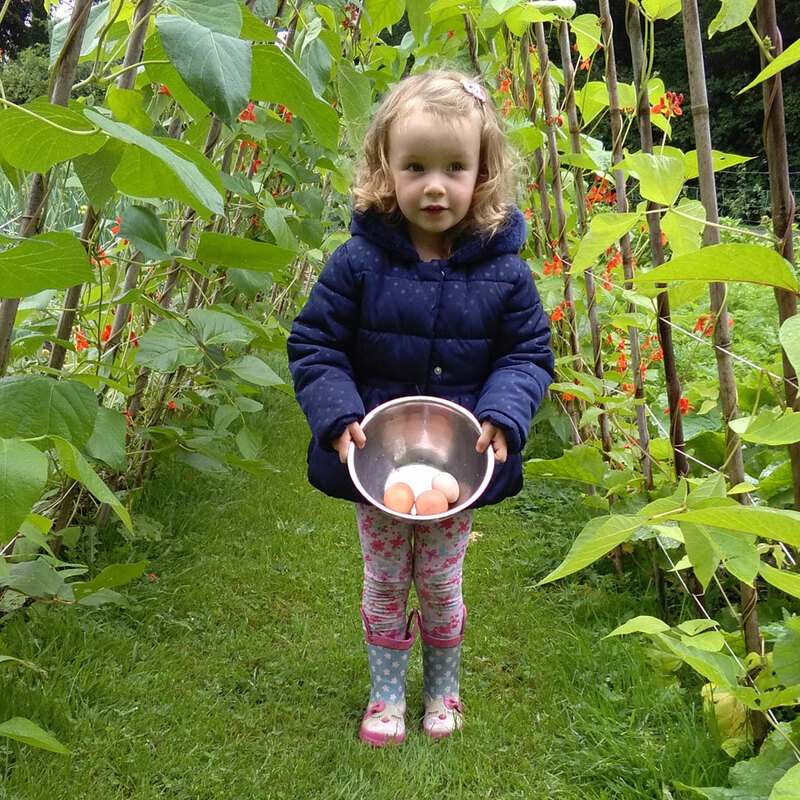 Sit in our cookery school kitchen garden and orchard on a summers day sipping on a glass of one of our homemade fruit cordials, or wrap your hands snugly around a mug of hot chocolate on a dry frosty winter’s morning. Go visit and talk (I do) to the hens and listen to the birds singing beautifully in the trees. In the kitchen you’ll be preparing & making delicious brunch, lunch & dinners using much of our hand reared or locally produced meat, poultry and home grown seasonal vegetables. Maybe bake a velvety light sponge cake with eggs collected from our hen house daily. In the summer time pop out to the fruit bushes and handpick redcurrants, raspberries and a few sprigs of mint to decorate a luscious chocolate roulade or a sinful dessert. Just simply — we want you to learn, laugh and love local food and the land as much we do! Class begins with a warm welcome and Fiona’s freshly baked scones with a cup of tea/coffee while getting acquainted with the other visitors. Receive your recipe sheets to follow during class and to take home with you when you’re finished. Discuss the day’s teamed menu such as, purchasing, seasonality, availability of ingredients and tips for preparing, cooking & entertaining at home. Demonstration first before you gets hands on preparing and cooking your delicious dishes. After all your hard work, your group will finish the day by sitting down together and enjoying the culinary delights you have created. Class times are generally from 10-4pm. Receive your recipe sheets to follow during demonstration and take home with you after class. Discuss the evening’s teamed menu such as, purchasing, seasonality, availability of ingredients and tips for preparing, cooking & entertaining at home. Demo of all recipes with lots of discussion, questions & answers throughout. After the evenings cooking, your group will finish the night by sitting down together and enjoying our culinary delights we have created. Class times are generally from 7.30-10pm.